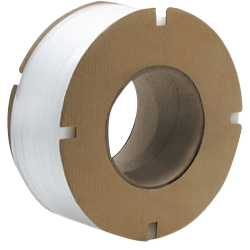 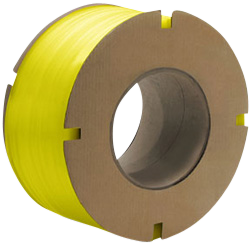 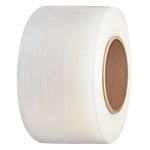 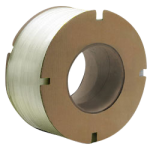 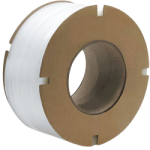 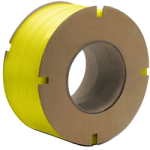 CWC machine grade embossed polypropylene strapping has a diamond shaped texture. 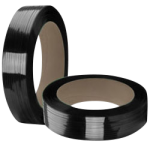 This texture provides the embossed plastic strapping extra protection against friction from the strapping buckle or seal, therefore reducing slipping. 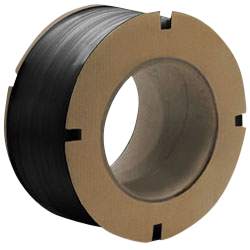 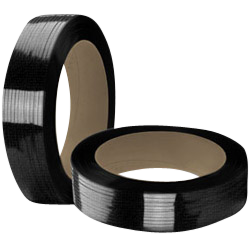 CWC Polypropylene Strapping - 10.5 mm x .022" x 10500' Black 16" x 6"